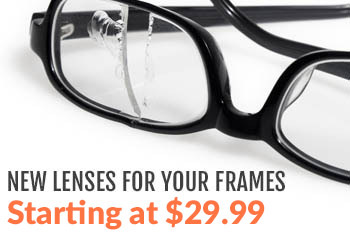 There are a few reasons why our costs are so much lower than the optometrist’s, or even other online eyeglasses stores. In addition to the fact that, as an online business, we do not have to maintain a storefront and the employees associated with that, we also do almost all of our work in-house. We do all of our prescription lens work in-house, with the exception of a few specialty items. Because we have a full optical lab in-house, we do not need a purchase lenses from a middle-man. This cuts out a huge expense and allows us to sell prescription glasses at wholesale prices to end users. We have some of the most advanced CNC machinery on the market today. This means that we can remove some of the overhead costs associated with broken lenses and edging mistakes that came along with the older machinery, which many labs still use. We do a lot of prescription glasses every day. Because we process prescription glasses in bulk quantities, we save on other overhead costs associated with running an optical lab, because none of our polish or supplies ever go bad or have to be discarded before they’re done. Our business is all done in one building. 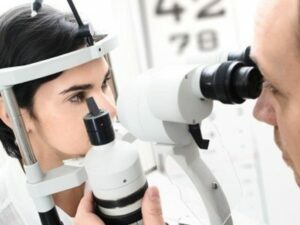 Because we have our office, optical lab, and manufacturing areas all in different sections of the same two-story building, we are able to maximize our space and utilize it to its full potential, without having to pay the added expenses associated with having different sections of the company in different buildings. We don’t offer outrageous warranties. Does this seem counterproductive? Think about this: there are plenty of optical suppliers who will literally double the price of your glasses and tell you the lenses “won’t scratch for two years, or we’ll replace them.” Because we sell safety glasses, we expect that your lenses may scratch or be damaged in the process of protecting your eyes; it’s their job. Instead of charging you up front for your replacement lenses under the guise of a warranty, we give you the option of ordering new lenses only if the old lenses need to be replaced. We do our best to accommodate the needs and desires of our customers, and we know that one of the biggest requirements the average American shops by is savings. Nobody wants to pay more than they have to. At Rx-Safety, our goal is to get you a great pair of prescription safety glasses, whether they’re for work, on the bike, or on the bay, at a price you can feel good about. We do everything in our power to make the glasses as affordable to you, without ever sacrificing quality or workmanship. 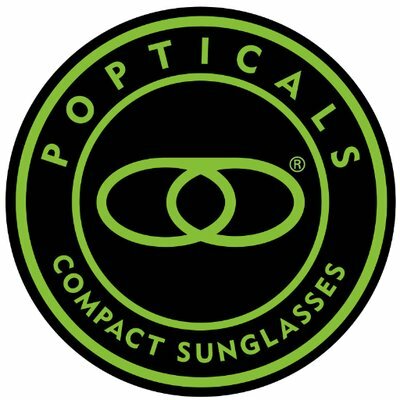 If you have any other questions about our eyewear or how we keep our costs so low, please don’t hesitate to give our customer service team a call. Thanks for reading!